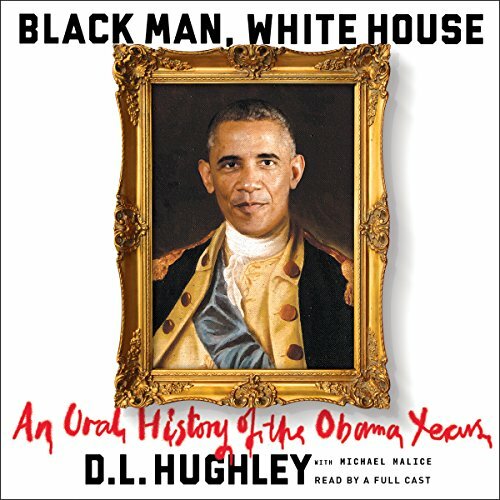 From legendary comedian D. L. Hughley comes a bitingly funny send-up of the Obama years, as "told" by the key political players on both sides of the aisle. What do the Clintons, Republicans, fellow Democrats, and Obama's own family really think of President Barack Obama? Finally, the truth is revealed in this raucously funny oral history parody. There is no more astute - and hilarious - critic of politics, entertainment, and race in America than D. L. Hughley, famed comedian, radio star, and original member of the Kings of Comedy. In the vein of Jon Stewart's America: The Book, Black Man, White House is an acerbic and witty take on Obama's two terms, looking at the president's accomplishments and foibles through the imagined eyes of those who saw history unfold. Hughley draws upon satirical interviews with the most notorious public figures of our day: Mitt Romney ("What's 'poverty'? Is that some sort of rap jargon? "); Nancy Pelosi ("I play F**k/Marry/Kill, and there's a lot more kills than fu**ks in Congress, believe me. "); Rod Blagojevich ("You can't sell political offices on eBay; I discovered that personally. "); Joe Biden ("I like wrestling. "); and other politicians, media pundits, and buffoons. It is sure to be the most irreverent - and perhaps the most honest - look at American politics today. This book was so clever and funny. The use of the most well known political figures of the time made it interesting and easy to follow. It brought back memories of the election of President Obama in a way that I never thought of. D.L. Hughly is smart, funny and should continue his political observations for the current election cycle. Would you try another book from D. L. Hughley and/or the narrators? Yes, the narration was terrific. I laughed aloud many, many times listening to this book. What was one of the most memorable moments of Black Man, White House? Michelle Obama's note of people crying during the Inauguration. I remember being teary while voting; it was so exciting to be part of electing our first black President and to finally have one was surreal and wonderful. Whenever the narration switched to the Special Agent, there was a painfully loud censorship bleep (understanding that the Agent's name shouldn't be released); it was very disruptive and like an ice pick to the head. Absolutely! And, I'd take all my girlfriends!!! Excellent job by DL to construct a story replete with characters from President Obama’s time in office and what they might have said or thought. Even the even tempered responses of what we grew to see from the administration, which left us both frustrated and proud, was brought to life in the dialogue as events were relived. Unfortunately without knowing for certain, these were just the ingenious creations of DL’s mind. Entertaining, yes, real ... well who knows, but he is a comedian NOT a historian 🤫. Very informative, funny and timely. Please start your next book on the present sh$&@t-, I mean, situation! i enjoyed this book . it was informative yet entertaining. I continue to enjoy the audiobook. Love DL Hughley straightforward political views and humor however this book was sometimes hard to follow. Its basically skits of different times of the Obama Years. It would be best as a short film. This book provides an original and fun way to relive the Obama years. With a talented cast, “Black Man, White House,” takes us from Obama’s address to the Democratic Convention as an unknown political up and comer through to the end of his presidency. It’s funny, clever and fun. The going back and forth between voices was somewhat distracting at first but it was a good audio book, a nice humorous summary of those times and what those people may have thought. Wonderful play of the time leading up to the the Obama White House until his terms concluded. Great writing. Terrific voice acting. Recommend it highly!